Contact lens use. Prior to Lasik surgery, you’ll need to stop wearing your contacts for a period of time. How long this time frame depends in part on what type of contact lenses you wear. Hard contact wearers will probably need to cease wearing them four to eight weeks before the procedure; soft contact wearers can usually wear them for up to a week or two prior to the surgery. Please make sure you get specifics from an ophthalmologist on your timeline. Keep things clean and simple. Just before surgery, you’ll want to minimize any exposure to irritants and make sure your eye and face area is clean and free of makeup or lotions. Take a pass on perfumes, hairspray, and anything else that can potentially get into the eye. Also, try to wear a shirt that doesn’t pill or shed to avoid anything getting into the eye prior to or during the procedure. Food and drink. Typically you can eat and drink normally prior to Lasik surgery, but there are a few exceptions. We’ll talk to you about this with you in more detail when you meet with the doctor. Arrange for a ride. You will not be able to drive after this procedure, so be sure to line up a ride home for afterward. You’ll also need someone to take you to the facility. Lasik surgery is not a long procedure, so the wait time shouldn’t be too significant. We’ll give you an idea of how long you’ll be in when we discuss your specific surgery. Ask questions! Any good ophthalmologist will encourage any and all questions about Lasik surgery. We take time to explain to our patients what goes on before, during, and afterward, but if they have any additional concerns, we’re here to address them. Keeping a list of things you’d like to ask can be helpful, but you can bring questions up at any time. It’s important for you to feel comfortable about the process, and confident you know what is going on every step of the way. If there is anything you are wondering about that hasn’t been addressed here, or if you’d like to learn more about Lasik surgery in the Chicago area, call Gerstein Eye Institute today. We’re here to help! 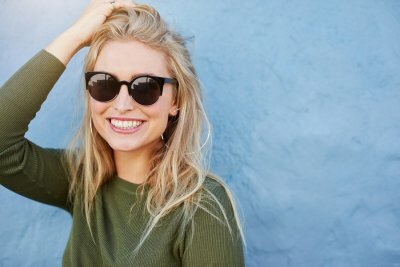 Call today to find out if Lasik surgery is right for you! Do you know what foods are healthy for your eyes? Chances are most of us have heard the sage old advice about eating carrots, but what other foods can you add to your diet to help support good vision? Here, your friends at Gerstein Eye Institute in Chicago have compiled a list of 10 eye-healthy foods for you to consider. Fish is high in omega-3 fatty acids, so it makes a good main dish addition to your diet if you’re concerned about healthy eyes. The fatty acids help protect you against things such as macular degeneration, dry eyes, and even cataracts. Try a nice piece of grilled salmon or a tuna sandwich for lunch. Kale is all the rage these days, and it’s no exception when it comes to eye health. This dark, leafy green is loaded with lutein and zeaxanthin — antioxidants that work to keep your eyes functioning at their best. Add it to a sandwich instead of lettuce, or toss some in a salad alongside other greens. Spinach is another highly recommended veggie for healthy eyes, and it’s easy to include in the diet, as well. Steam some and add to an omelet, or make a spinach and strawberry salad for an extra boost of vitamin C.
Berries are a good pick for their antioxidant value, and they are easy to add to a variety of different dishes. Sprinkle some raspberries on cereal, pack a small container of blueberries for a midday snack, or enjoy some strawberries dipped in a little dab of sour cream and brown sugar for dessert. Nuts can be a smart addition to your eye health diet — just choose ones that are high in vitamin E, such as almonds or hazelnuts. Nuts make great snacks, but they are high in calories, so just go easy! Sunflower seeds are another good source of vitamin E. Sprinkle some on a salad for a tasty crunch that supports eye health. Broccoli not only has lutein and zeaxanthin, but it’s also a great source of vitamins C, A, and E. Lightly steam some and add to pasta, or toss into a chicken stir fry. You can even eat it raw in a salad! Eggs are extremely versatile and are another terrific food for your eyes. They contain zinc, vitamin A, lutein, and zeaxanthin, all of which have protective effects. Enjoy them scrambled for breakfast or hardboiled for lunch or a snack. Oranges are stocked with vitamin C, so they make a great choice for a diet focused on eye health. Drinking orange juice is an easy way to add this fruit, but you can also toss an orange in your lunchbox to peel and eat, or put it in a fruit salad. Carrots ! It’s true — this veggie is great for your eyes, just like you’ve heard all along, packed with a lot of vitamin A and beta carotene. Carrots are easy to eat on the go, but you can also include them in salads or blend them into soups. Looking to add some eye-healthy recipes to your diet? Talk to Gerstein Eye Institute to learn more about how eating healthy can help your vision when you visit. We’ve got some great information to share! Call us today for healthy eyes: (773) 596-9804! Have you ever wondered if you have better vision than most people? Do you think we all see colors the same way? Can you pass an eye chart exam with no problem? Here, we at Gerstein Eye Institute have gathered some fun resources here for you to try out and see where you stack up. Have fun! First up is a test from BuzzFeed to evaluate how well you see various colors. Give it a shot! How did you do? Is your color vision what you expected? Although true color blindness is fairly uncommon, many people aren’t aware that the ability to see colors varies a bit from one person to another. We’d be happy to tell you more if you’re interested! While we’re pretty sure you know this isn’t a true vision exam, it does give you a quick look at how well you see tiny print, and how well you can color match. For a more accurate look at your eyesight and a true measurement of your abilities, visit us for a complete examination. Yeah, we know. It’s not a real chart in a real office. And computer screens just might complicate things a bit. Still, if you haven’t been in for a real eye chart exam in a long time, it might be a good thing to consider. We’re here for you if you’d like to give our test a try. Feel free to share this post with friends and family and let them get in on the fun, and be sure to check back for additional information, resources, and interesting links. We love to find great stuff and pass it along! Visit Gerstein Eye Institute in Chicago today for an in-office eye test! Glaucoma refers to conditions that damage the optic nerve, and this problem can develop gradually and lead to blindness if not addressed. Also, because vision loss caused by glaucoma cannot be recovered, it is important to be proactive when it comes to protecting your vision from this eye disease. 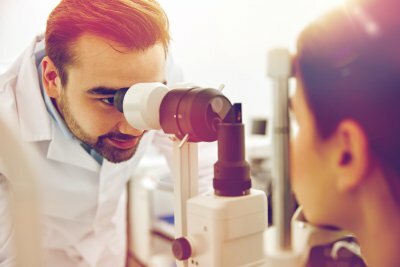 To help avoid the dangers of glaucoma, there are a few things that your ophthalmologist near Chicago would want you to know about eye care. One of the best things that you can do to protect your vision from glaucoma is not to wait for symptoms to develop and to schedule comprehensive dilated eye exams with an eye doctor. Although this condition can’t be reversed, catching glaucoma early can allow your eye doctor to slow or stop the disease’s progression. 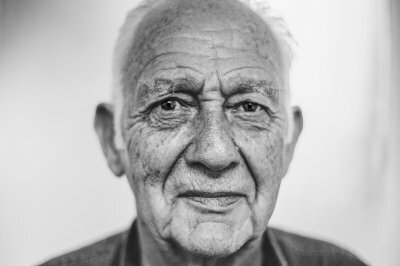 Some of the risk factors for glaucoma include being over age 60, being black or Hispanic, having high eye pressure, and taking corticosteroids long-term. Also, having some eye conditions, certain medical conditions, estrogen deficiency, or a family history of glaucoma also increases your risk for this disease. If you’re at a high risk for glaucoma, then you should see your eye doctor for exams every 1 to 2 years. To understand the importance of practicing good eye care in Chicago , diabetic patients can benefit from knowing how diabetes can increase their risk for some eye problems. In honor of Diabetic Eye Disease Awareness Month, please watch this video to learn a few important things that diabetes patients should know about eye care. November is Diabetic Eye Disease Awareness Month, and if you have diabetes, then there are several things that your ophthalmologist near Chicago would want you to know about diabetic eye disease, which refers to a group of eye conditions that can affect individuals who have diabetes. Keep reading for a quick guide to these diseases. Diabetic retinopathy is a complication of diabetes. 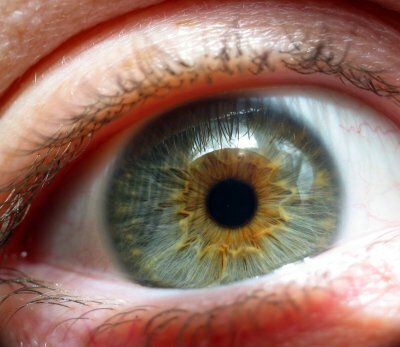 This condition develops when blood vessels in the retina are damaged, and it is more likely to develop in diabetics with poorly controlled blood sugar. Early stages of this eye problem may not produce symptoms. As the disease progresses, you may experience symptoms such as floaters or dark spots, poor color vision, blurry vision, and vision loss. Some diabetic patients who develop diabetic retinopathy may also experience a complication of this condition called diabetic macular edema. In diabetic retinopathy, high blood sugar damages blood vessels in the retina. Sometimes, this process can result in microaneurysms that leak fluid into the retina. The excess fluid results in swelling in the retina, can affect the person’s vision, and may even result in blindness. 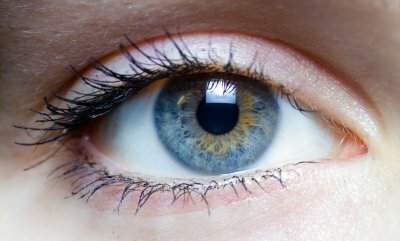 Your eye’s lens, which is located behind the iris, is supposed to be clear and is designed to focus light that passes through the eye. When the lens forms a clouded spot, the area is referred to as a cataract. A cataract develops when proteins in the lens clump together, and this problem can impair your vision and make everyday tasks a challenge. There are many risk factors for cataracts, but adults who have diabetes are much more likely to develop this problem than those who do not have diabetes. 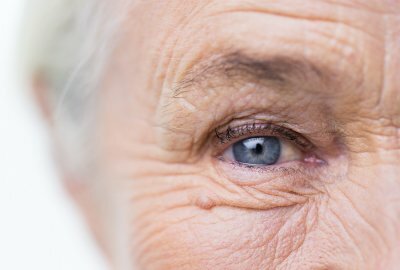 Your ophthalmologist can diagnose this condition and discuss whether you should undergo cataract surgery. Glaucoma refers to conditions that damage the eye’s optic nerve, and it is a leading cause of blindness. Early stages of this disease typically do not produce symptoms, and diabetes greatly increases the risk of glaucoma in adults. 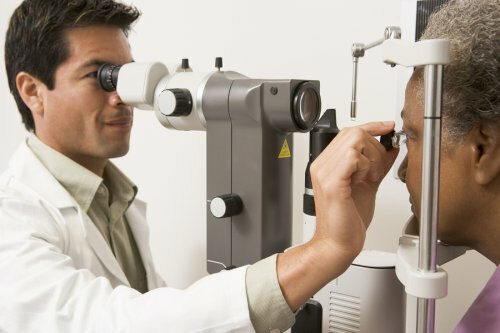 For these reasons, it’s vital to schedule regular eye care appointments with your ophthalmologist. As your ophthalmologist in Chicago will tell you, eye care comes down to more than just regular vision check-ups. October is Eye Injury Prevention Month, and there are plenty of steps you can take to help protect your eyes from harm. Read on for some tips on preventing eye injuries. Whether you’re a member of an active sports league, or you only play the occasional game of baseball with friends or colleagues, protecting your eyes while participating in athletic activities can be essential for protecting your eye health. While there are many sports that can pose a threat to your eyes, some of the ones that are commonly associated with eye injuries include baseball, hockey, paintball, racquetball, and fishing. With the arrival of fall, you may be less concerned with protecting your body from the sun’s ultraviolet (UV) rays. However, it’s important to realize that UV rays reach the earth’s surface year-round, even on cloudy days. For this reason, you should continue wearing sunglasses that block 100% of UV rays throughout the fall and winter. This eye safety step is particularly important if you plan to spend time skiing or on the water, as sunlight can reflect off of snow and water and potentially harm your eyes. According to ophthalmologists, eyes can suffer something similar to a sunburn, called photokeratitis, when damaged by UV rays. If you have a home improvement to-do list that you’re hoping to get through this season, then your eye doctor would want you to remember to practice good eye safety as you take on each of these tasks. Even small projects, such as installing shelving or trimming shrubs, can lead to eye injuries if you’re not careful. To protect your eyes from the dangers of flying objects like nails, wood splinters, and branches, remember to wear safety glasses or another form of protective eye wear while working on your DIY projects.